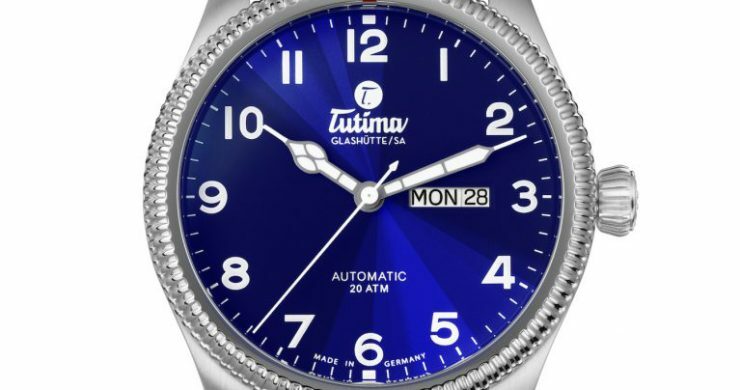 A brand long known for its expert German craftsmanship – these watches are, after all, “Made in Glashütte” – Tutima calls upon its legendary pilot watches of yesteryear for a series of updated Grand Flieger Automatic Classic watches that bring quality craftsmanship and fine finishing to the forefront. 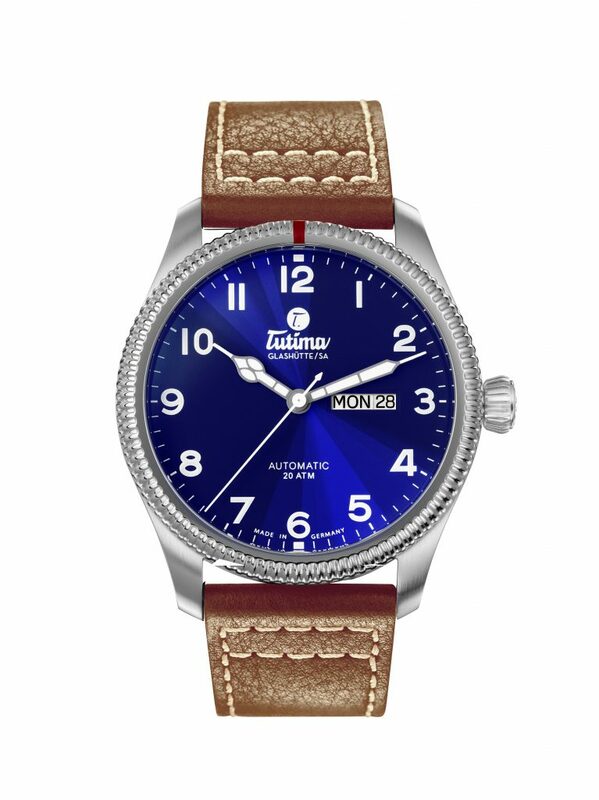 Tutima’s Grand Flieger collection is a direct descendant of the brand’s legendary pilot’s chronograph of 1941. The new automatic watches are timeless beauties with vintage inspiration. The Grand Flieger Classic Automatic watches feature a beautifully knurled, fluted bezel with a simple red reference marker on it. 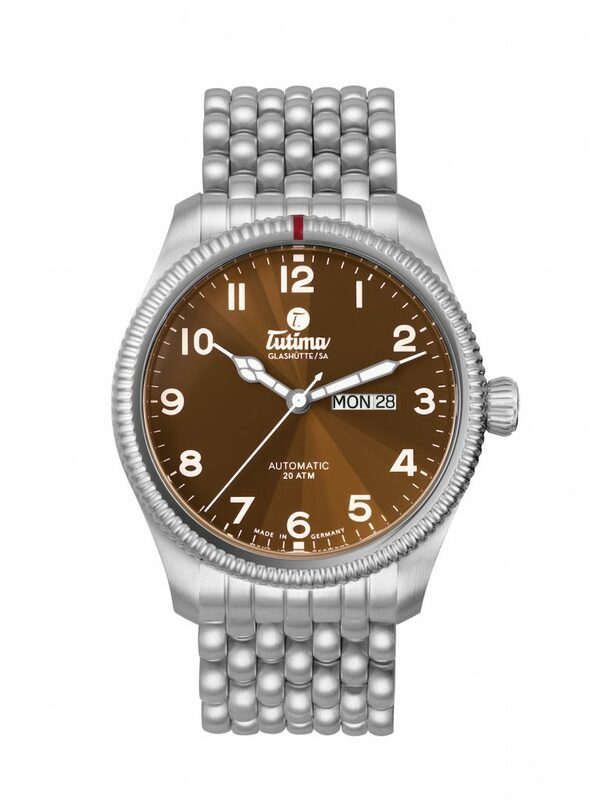 The Tutima caliber 330 automatic movement that powers this line offers hours, minutes, sweep seconds, and day/date window at 3:00 on the dial, and is equipped with 38 hours of power reserve. The 43mm Grand Flieger Automatic watches are made of stainless steel and are water resistant to 20 atm. Each watch features a domed sapphire crystal with anti-reflective coatings on both sides. The screw-in caseback features a sapphire crystal for viewing the movement. The new Grand Flieger Classic watches are offered with a choice of either copper-colored brown dials with color coordinated brown strap, or midnight blue dials with slate gray/black strap. Each is also offered with a seven-row pebble link bracelet. The strap version retail for $2,500, while the bracelet models sell for an affordable $2,900.